I would have never thought that a single YouTube playback speed setting would be requested or would get noticed this much, but today I've learned that you can't make assumptions like this without researching them first. It seems that the 1.75x speed setting has been asked about, not once, not twice, not even thrice, but even more times, and when it showed up a few days ago on the YouTube desktop site, many users did indeed notice it. Winter has had a toll on me though, and I'm a little slow these days (you could say I'm working at 0.25x), so I just spotted it. And that's really all there is to it. 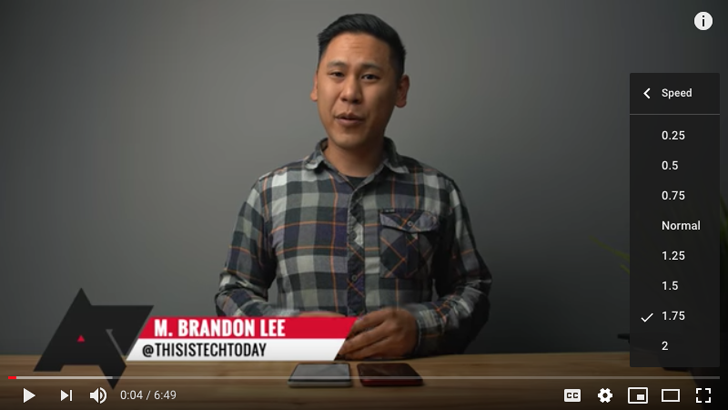 If you're watching a video on YouTube on the web, you can now choose that elusive 1.75x playback speed, in case 1.5x is too slow and 2x is too fast. The option hasn't rolled out to the mobile app yet, so you'll have to make do with 0.25, 0.5, 0.75, 1, 1.25, 1.5, and 2 there. Just like you have, ever since playback speed rolled out last year. We'll keep an eye open and see if 1.75x makes the jump to Android soon. 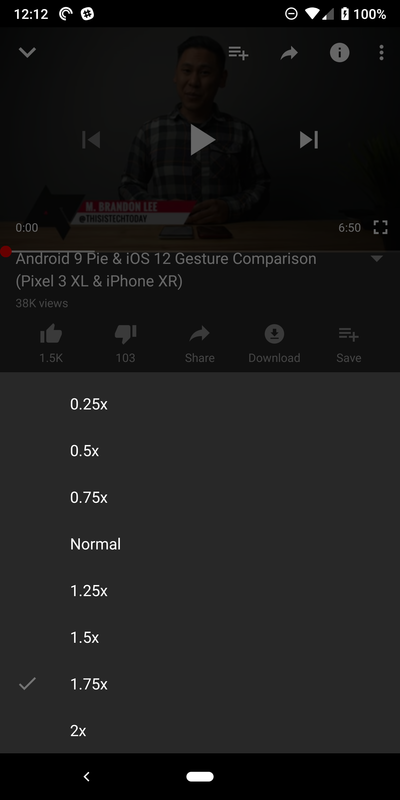 The 1.75x playback speed option is now showing up for us on Android in YouTube v13.50.52 (APK Mirror) though it's possible older versions of the app are showing it as well. Thanks, Johny Hongkong!